Of all the things one can do with eggs, I never thought I would be making three whole books about them. After all, eggs, much like the task of typesetting a recipe book, appear simple but quickly reveal themselves to be complex and versatile in nature. Being an adventurous eater, I went way beyond the eggs that we know so well, to other types of edible ova in pursuit more creative content. (Alligator eggs, anyone?) Expanding my topic, as it turned out, became more than a foray into the culinary. It was a typographic adventure. The adventurous cook’s guide to eggs. Design a cookbook around a chosen topic. Research the topic and structure the publication with all the expected sections of the genre, including a table of contents, introduction, chapter openers, running text, recipes and a colophon. Eggs—all sorts of them—are eaten everywhere in the world. The ubiquity of the food led to the concept of an illustrated field guide to recognizing eggs, whether at the farmer’s market or on a exotic hike. Vintage illustrations were chosen to evoke the feel of early discoveries, and each book introduces a different type of egg, from the farm, to the ocean and finally, to the wild. 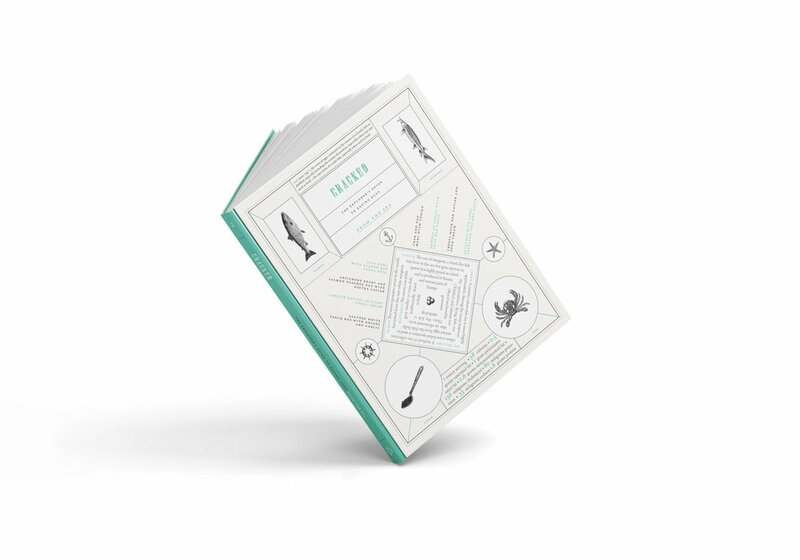 The book covers were inspired by the art of McSweeney’s, full of detail and old world charm.